UMACK (Universal Mooring, Anchor & Connectivity Kit Demonstration) is a 35 month project addressing aspects of the affordability, survivability and reliability of marine renewable energy devices through the demonstration of a generic anchor-foundation-mooring-connectivity system which aims to reduce capital and installation costs by up to 50%. UMACK is funded by Scottish Enterprise and the Swedish Energy Agency with co-funding from the OCEANERA-NET COFUND (via the European Commission under Horizon 2020). 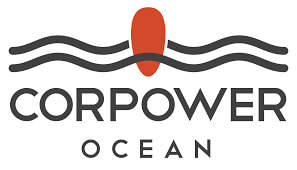 UMACK brings together leading wave and tidal energy developers, CorPower and Sustainable Marine Energy, mooring experts Tension Tech International Marine Renewables, the European Marine Energy Centre and the Policy and Innovation Group. The Policy and Innovation Group’s primary role in UMACK is leading the analysis of the economic and environmental impact of the proposed system. A global economic model containing Levelised Cost of Energy (LCOE) and Life-Cycle Assessment (LCA) calculations is being developed and populated with data provided by the project partners to demonstrate how the proposed system impacts cost of energy and environmental impact. The analysis will be carried out for both wave and tidal energy converters. In addition to this, the Policy and Innovation Group is calculating the Gross Value Added (GVA) potential of the proposed system for Scottish and European supply chains. This analysis is indicating how investment in the proposed system is reflected in additional economic activity within the engaged industries. For more information, see here (EMEC press release). This project has received funding from the OCEANERA-NET COFUND.